Why is caring for your crowns and bridges important? How should I clean my crowns and bridges? What if my crowns and bridges trap food? Learn more about crown and bridge care. Teeth with crowns or bridges can still develop recurrent cavities, bone loss or infection like any other tooth in your mouth. Crowns and bridges are used to restore broken and missing teeth. Sooner or later, we all end up needing a few crowns or bridges as our teeth get damaged over time. However, placing a crown or bridge on top of your tooth does not mean that your tooth is protected indefinitely. Teeth with crowns or bridges can still develop recurrent cavities, bone loss or infection like any other tooth in your mouth. This is why caring for your crowns and bridges becomes so important to the long-term longevity of these dental prosthesis. Ideally, you should clean your bridge with a super-floss several times a week. 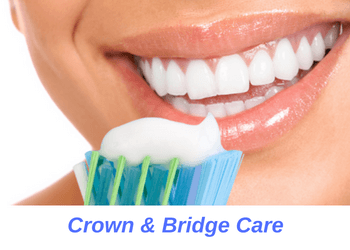 Cleanings crowns is easier than bridges since there is no gap in between these teeth. Often times, brushing and flossing alone is sufficient to clean teeth with crowns on them. Cleaning dental bridges can be a bit more tricky because of the gap underneath the bridges where your missing tooth used to be located. 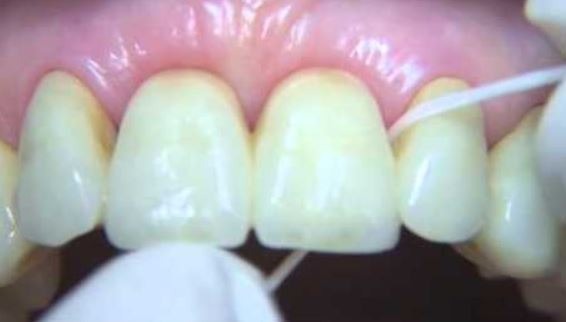 To properly clean your bridge you need to pass a device known as super-floss underneath the gap. Ideally, you should clean your bridge with a super-floss several times a week. Otherwise, food and plaque can accumulate underneath the bridge and damage your supporting teeth. If you have questions regarding using a superfloss you should talk to your dentist to have them review your hygiene routine. If you’re getting just a tiny bit of food trapped then consider using a Waterpik or interproximal cleaner to better clean your teeth. These special cleaning devices are designed to assist in cleaning crowns and bridges. They can be very effective in removing food particles trapped next to your crowns and bridges when combined with adequate brushing and flossing. If your crowns or bridges are trapping lots of food particles on a consistent basis, you should consult with your dentist right away. 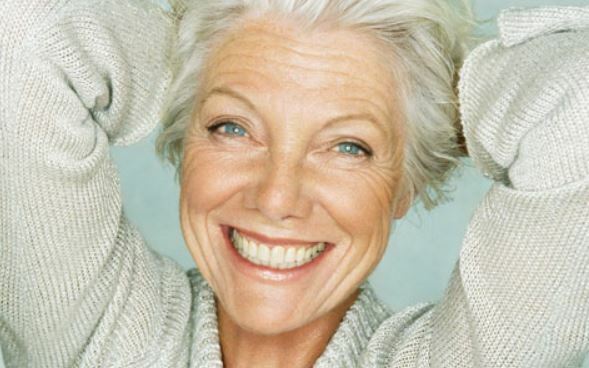 Sometimes older crowns and bridges don’t fit as well due to fractures or bone loss. Trapping lots of food particles can lead to cavities, bone loss and even infection. You may have to replace your crowns and bridges if they are trapping too much food particles. Consult with your dentist to see if there is another solution or if it’s time to replace your crowns or bridges. Give us a call if you are uncertain about the condition of your existing crowns and bridges and would like to have them examined.